Mavericks, the latest version of OS X, is named after a popular surfing location in Northern California, a place known for its gigantic waves. For some, using OS X Mavericks has seemed a lot like surfing—and not in a good way. Just when you feel like you’re having a rad run, you launch Mail 7.0, and suddenly your whole experienced is wrecked. Mail ends up being the massive wave that wipes out any good karma you had. If the Gmail issue proves to be the last straw for you, it might be time to ditch Mail and find another email client. I’ve gathered the names of programs available for the Mac today; many are free or have a trial version you can try. Also, take a look at the quick-reference chart of Mac email clients we’ve reviewed. Please add your thoughts and experiences with third-party email clients in our comments section. The list below is provided in alphabetical order. Bloop’s $2 Airmail is a lightweight email client with a lightweight price. Our review ( ) praised the app’s clear, appealing interface and its ability to work with Gmail labels. But, it also dug up some annoying quirks. The developer says it is actively working on improvements. Back in the 1990s, Qualcomm’s Eudora was one of the most popular email clients around. Although the company abandoned the app, it’s been kept alive as a free open-source project called Eudora OSE. The latest version is based on code from Mozilla’s Thunderbird email client. 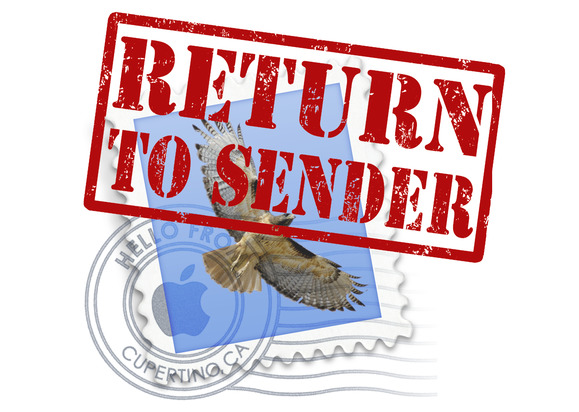 You’d probably get a laugh out of longtime Mac users if you told them you ditched Apple Mail for Eudora. The Chinese developer Tencent created a Windows version for FoxMail for several years before releasing a free Mac version, too. If you happen to use Tencent’s services (such as instant messaging and group chat), you can use FoxMail to access your qq.com mail. You can also use FoxMail with Gmail, Microsoft Exchange, and other services. Macworld reviewed GyazMail 1.2 in 2005; version 1.5.15 was released in early January 2013. The developer, GyazSquare, says it still supports the software and that the app works with Mavericks. A 40-day trial version is available, and a license is $18. Arcode’s free Inky offers both a cleverly designed interface and an attractive price (free). In our review ( ) we found a lot to like about the fact you can install Inky on as many different computers as you want, accessing multiple email accounts through a single convenient login. What might turn some people off is that Inky makes the magic happen by storing your account details in the cloud. Though the company encrypts your information, it’s worth considering whether this security issue concerns you. Mindsense’s Mail Pilot first made its appearance as a $15 iOS app ( ) that let you choose when to deal with your new messages, rather than where to put them. If you like this “to-do” approach to email, then you might be intrigued by the app’s Mac version. It isn’t officially out yet, but you can sign up for the public beta at the company’s website and give it a roll. Using Macsimize Software’s $20 MailForge is like stepping into a time machine. Its interface is dated, and it’s missing features that you’d find in a modern email client. For example, it can’t import messages from Apple Mail or display inline images. Frankly, our reviewer hated it ( ). Freron’s $30 MailMate (free demo available) gets down to business. It doesn’t mess around with a pretty user interface and its HTML support is limited, favoring plain text. It only supports IMAP account, too. (No POP for you.) So, what does MailMate offer? Our review ( ) praised its extensive suite of straightforward keyboard shortcuts and—most significantly—an incredibly powerful Smart Mailbox feature with robust search and filter capabilities. If you’re an email power user, check this one out. If you use Gmail and only Gmail, the $25 Mailplane could be worth a look. It’s a polished Gmail client that ties in neatly with the rest of OS X. Our reviewer said ( ), Mailplane is “the most polished and useful Gmail client I’ve yet tested.” Still, if you’re happy using Gmail in a Web browser, you might find Mailplane to be too much of a similar experience. Give the demo version a try and see. Search for “email” in the Mac App Store, and you’ll find few full-featured apps, and several Gmail clients that give you access though a menu-bar icon. These apps tend to have the minimum features required to read email, but they offer quick access. You’re probably familiar with the Opera browser, but you may not know about the free Opera Mail email client. It doesn’t have all the features found in Apple’s Mail, but it has a easy-to-use user interface and it can also be used for RSS feeds. You can’t buy Microsoft’s email client separately; it’s only available as part of Microsoft Office (prices vary; $220 for Office for Mac Home & Business version). But what if you already own Office and you need an Exchange client on the Mac? In that case, Microsoft’s offering starts to look pretty darn good ( ). Outlook is not just an email client. It’s also a task manager, calendar, and contact database. If you want a single app that does all that, it might be for you. The $10 Postbox (free demo available) is very Gmail friendly. It lets you use Gmail labels, your Gmail archive, and Gmail-style keyboard shortcuts. It also works with Google Calendar. But the integration with other services doesn’t stop with Google. You can post to Facebook, Twitter, and LinkedIn from within Postbox. Our review ( ) also praises its close cooperation with Dropbox and Evernote. CTM Development’s PowerMail is the priciest email client (besides Outlook) in this survey. For a one- or two-user license, it’s $49 without the spam fighting utility SpamSieve, and $65 with SpamSieve (a free demo is available). This a full-featured email client and has excellent search features. When we reviewed Mozilla’s Thunderbird last year ( ), it was on version 16. As of this writing, it’s on version 24.0.1, following Mozilla’s pattern of rapid revising; it’s an open-source project with lots of people working on it. With its full feature set, it’s a true rival to Apple Mail, and it’s free. Eightloops’ $10 Unibox strays from the traditional approach of email. The message handling is people-centric, so your emails are sorted based on your contacts. In my first look of Unibox, I personally found this approach a little disorienting, but it can be a better way to organize a low volume of emails. Read our review. If you live and die with Gmail, you'll appreciate the UI that Mailplane 3 offers. Mail Pilot takes a unique approach to email that may help you finally get to inbox zero. Foxmail works well in general, but it's really meant for users in China and users of Tencent’s QQ Mail. Airmail is a great-looking email client, and does a few things quite well, but it has a few annoying quirks that may make you wait until they are resolved. The changes in Mail 7.0 are small, and if you use IMAP Gmail you may run into serious issues that hinder your productivity.